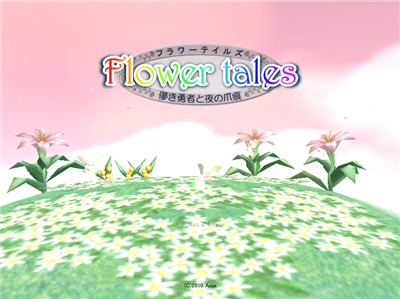 Flower Tales (20mb ver1.2 made 01/11/2010 by Crystal Light Stage, no install .zip) is a short, cute and colourful Japanese 3D role playing adventure game in typical Japanese game style. 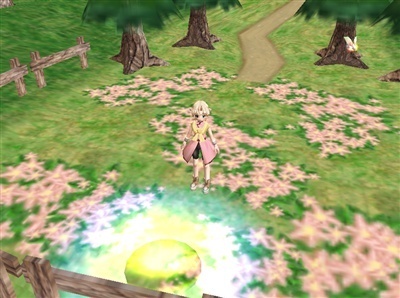 You start off as a winged insect and you are magically transformed in to a young lady who must complete her quest. The quest you'll need to work out for yourself as it's in Japanese. Apart from this it's a wonderful brightly coloured world if a little small, that you must explore, interact and complete your chosen quest. 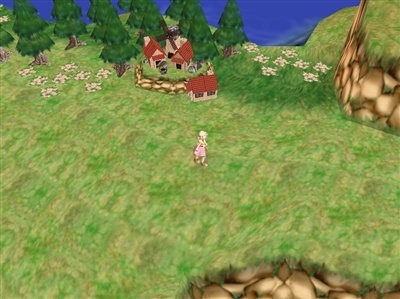 As far as Japanese quests go, they're all much about the same. Defeat nasty enemies to retrieve item/s of value. Try and complete the game to find out. 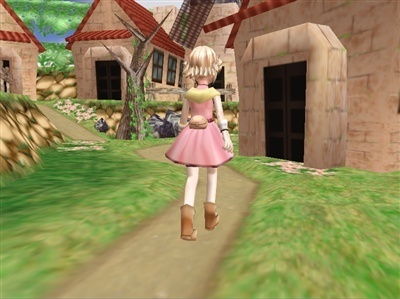 This game won gold in the Japanese HSP gaming competition and should play on most Windows systems with a basic 3D card. 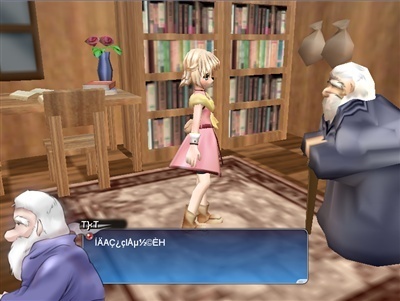 This freeware game has great visuals, music and sound suitable for all ages, even if we don't understand the storyline. The game download is the 5th button and is a direct download link. It will take you to the Japanese Vector software site.